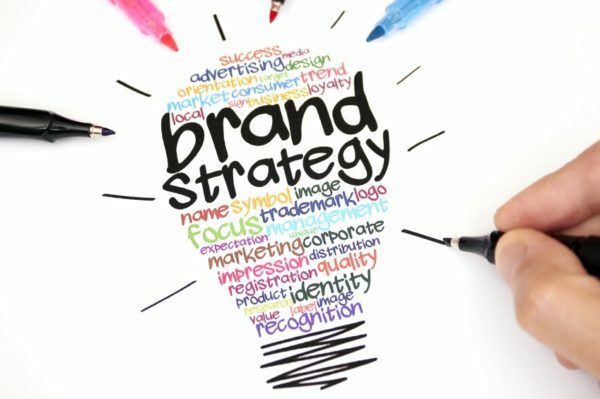 The function of brand management is relatively small compared to, say, consulting or banking, representing only about 5% of full time MBA positions, but the work of these marketers is clearly visible in our everyday lives. An analysis of our 250,000+ data points gives insight into the function that is both a science and an art. The average salary for an MBA graduate in brand management is $104,115; falling in the 29th percentile. The average signing bonus of $21,231 is a bit more favorable in the 71st percentile, but all other forms of additional compensation lie in the bottom quarter of averages for all functions. All together, the average starting compensation package lies in the 33rd percentile at $145,358. Brand managers may bring home less than their MBA peers in consulting, but they will at least enjoy more time away from the office. At only 47 hours, the average time spent working per week is 7 hours below the all-MBA average. Time spent traveling is also less than half of the average at just 11%. While this travel time is already lower than many other MBA functions, companies such as Anheuser-Busch and Tyson Foods report averages as low as 5%. Brand management opportunities for MBA graduates exist all over the country, but higher concentrations of positions can be found in Midwestern cities such as Chicago, along with New York and Los Angeles. Workplace satisfaction within brand management tends to be slightly below average. The average happiness score of 6.5/10 is only barely behind the 6.7/10 average, however company culture receives a whole point less than average at only 5.8/10. Yet one metric that rises above the rest is impact of work, in part because brand managers working in industries such as consumer packaged goods see their work become a physical reality. At 7.2/10 the impact of work isn’t much higher than the 6.9/10 average, but it is the highest average score among all of the reported satisfaction metrics. Internships are a great way for companies and MBA students to get to know one another, and in brand management, upwards of 85% of internships lead to full time offers. The average total compensation for a brand management intern is $87,976 and the number of hours spent working and traveling are basically identical to their full time counterparts. As far as satisfaction goes, interns seem to be having a better time than full timers. Happiness levels averaged at 7/10 and culture also received a 7/10 score. Interns, understandably, felt their work had a little less impact at 6.9/10. Internship offers peak in February in advance of summer internships. Summer internships at MillerCoors may only pay $76,400 in annualized salary, but culture received 9 out of 10 possible points and a 10/10 “would recommend” score. If you would like to learn more about brand management from those in the industry, Procter & Gamble offers an MBA Brand Management Camp that follows a week in the life of a P&G brand manager. Looking to go global? Internship opportunities exist all over the world. Following summer internships, full time offers peak in August. To see a full list of companies offering MBA internships in brand management and compare their ratings, simply visit the Career Explorer. While women tend to only account for about 40% of MBA graduating classes, 60% of full time brand management positions are held by females. Despite the fact that women outnumber men in this function our data from close to 4,000 employers suggests that time spent working and compensation levels are equal among all employees. Higher concentrations of women in this relatively lower-earning role in conjunction with men holding more positions in high-earning industries – such as consulting or investment banking – may contribute to the gap in average post-MBA pay between men and women. Average compensation for female MBA graduates across industries averages $24,000 less than men, partially due to the higher popularity of some less-lucrative roles. Unfortunately, we can’t yet answer the most important question: do women naturally gravitate toward lower-paying post-MBA functions, or are they systematically pushed toward them? Once you’ve gotten the offer: negotiate away, ladies. Our 250,000+ data points show success when women take a proactive role in negotiating their worth. In brand management, for example, fewer women attempt to negotiate their offers, but their post-negotiation compensation shows increases twice that of their male peers. No matter who you are, visit the Career Explorer to learn how much your peers are earning. Being knowledgeable about the compensation you deserve will help you in MBA job offer negotiations. MBA graduates working in the Consumer Packaged Goods industry – which consists of both consumer product and food/beverage/tobacco companies – account for the largest segment of brand management positions. While household products take the focus of most MBAs, there are opportunities within the world of luxury and high fashion. In fact, NYU’s Stern School of Business offers a track focusing on luxury brand marketing and University of London luxury brand management students spend their time in the fashion capitals of Europe. Considering the Consumer Packaged Goods industry scoops up so many post-MBA brand managers, it’s no surprise that prevalent companies in this space are household names. When considering companies for employment, seek out those who have a commitment to your professional growth and relevancy and strong collaboration between functions. Some popular employers can be compared below, and you can view a full list of employers and their compensation and satisfaction ratings on the Career Explorer. MBA degrees are commonly used to switch career paths, and 2 out of 3 MBA students use their new degree to switch both their function and industry. If you want to use an MBA to pivot into brand management, it may be a smoother transition than you think. One experienced brand manager states that having pre-MBA experience with marketing, sales, or brand management isn’t required. Leadership and general management skills are critical, but can be honed in any pre-MBA functional area. While you don’t need to be in incoming marketing guru, she does suggest using publications such as Ad Age and Brandweek to stay up to date with industry trends.